A sub-station maintenance company required access for MEWPS and telehandlers across soft gravel on a National Grid site. 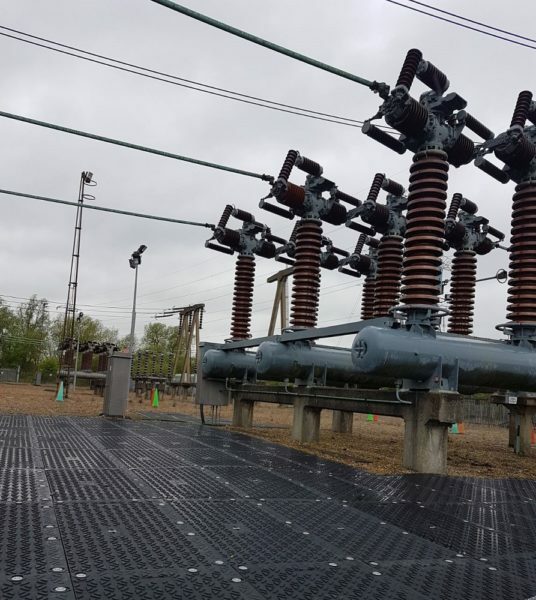 The maintenance operation was tricky due to the extremely low hanging transmission lines. 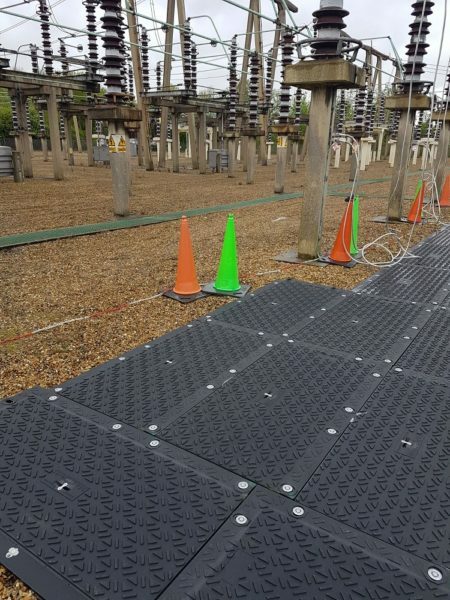 The company needed a ground protection system that could be installed by hand, without the need of mechanical lifting equipment which would be a major health and safety concern on site. Within days of the request, the Ground-Guards team were on site implementing a solution. 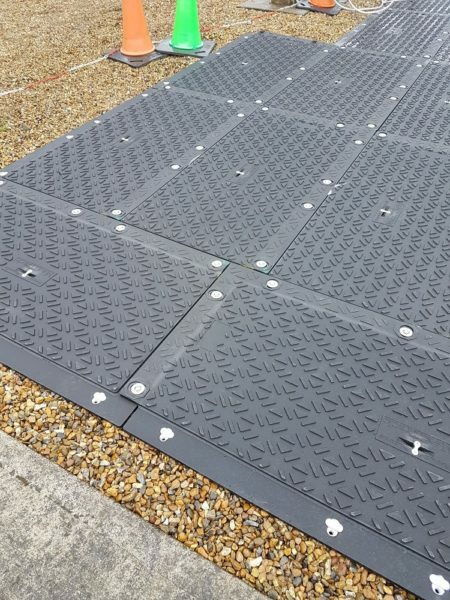 We recommended MaxiTrack; a heavy duty mat with overlapping joints that would comfortably take the weight of large vehicles whilst providing a firm base for operations to proceed. 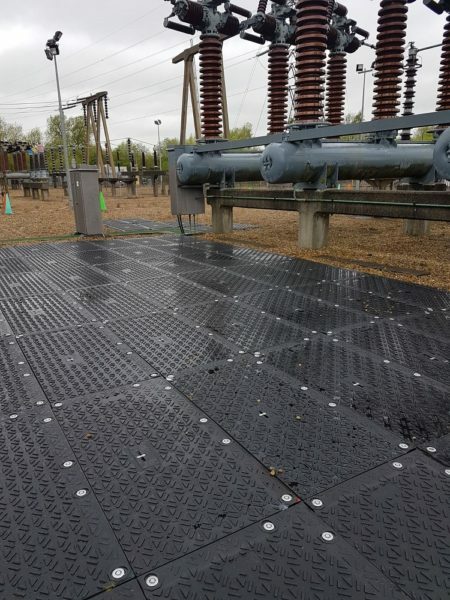 Crucially, MaxiTrack mats only weigh 40kg, so two workers could easily lift, manoeuvre and install the mats by hand. The 6 week hire project ran like clockwork. The client was so happy with the MaxiTrack system that they are considering it for their next site project in Coventry.